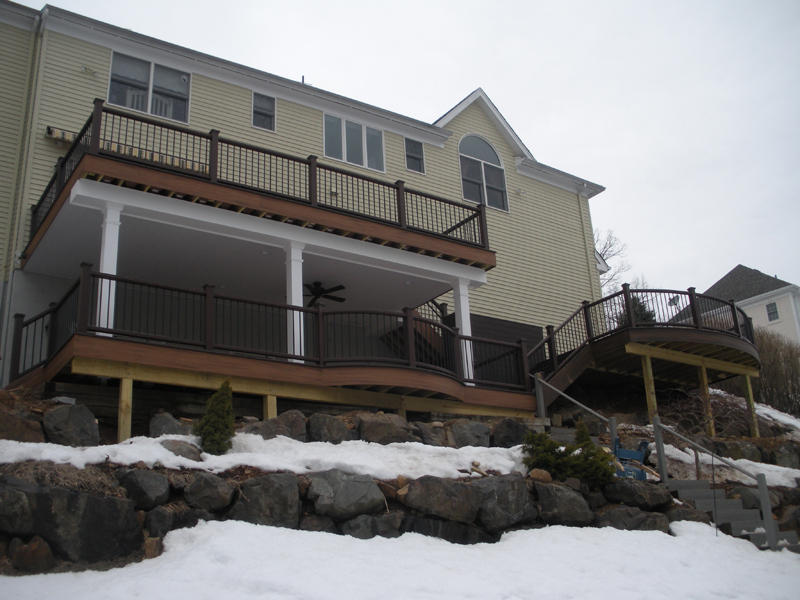 Our custom deck builders will build your deck the right way. 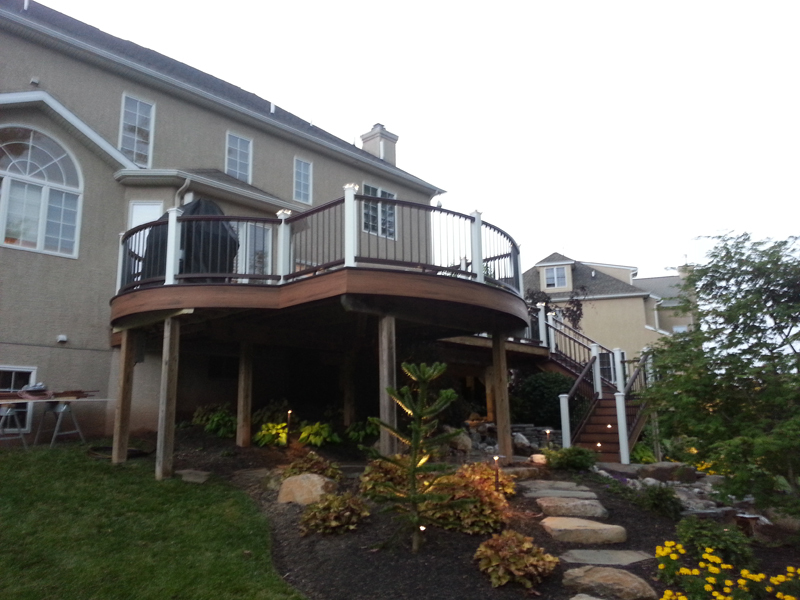 We understand that amazing custom deck designs vary for every individual. 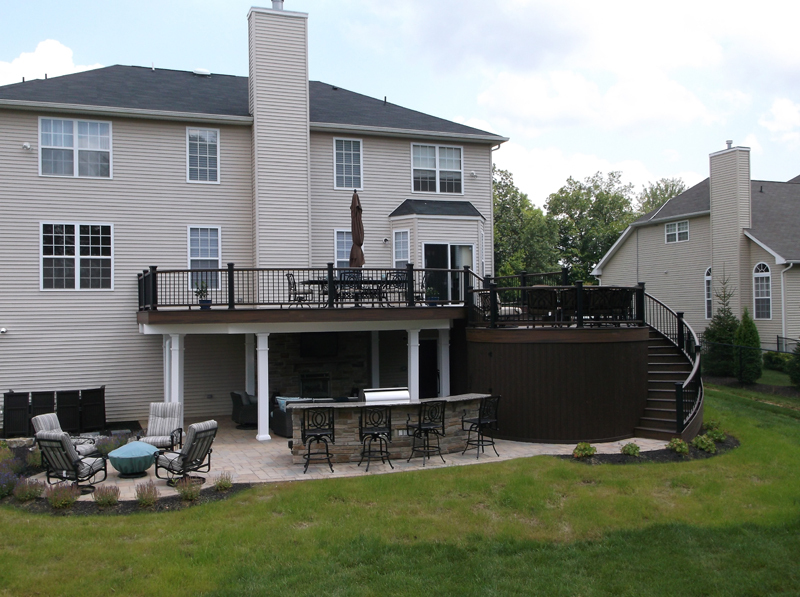 At Amazing Decks, builders of elegant outdoor living spaces since 1991, we realize that each person is different and has unique needs and desires. 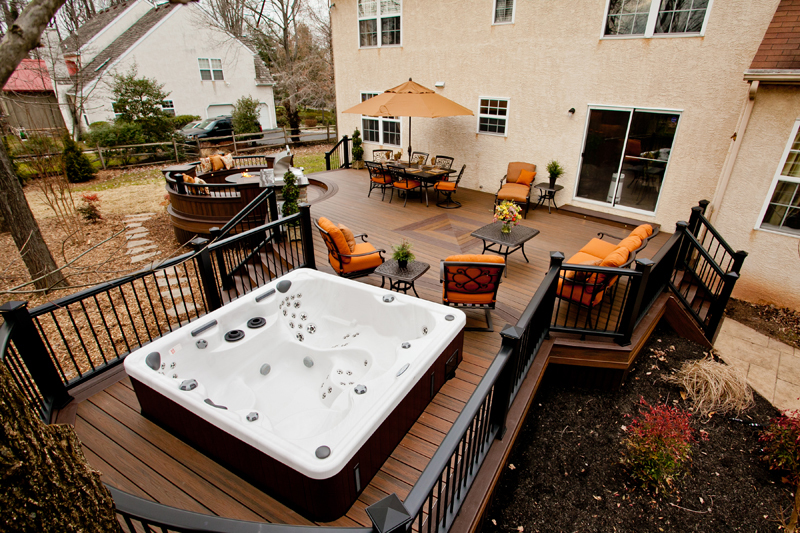 Our job as custom deck builders is to meet those needs and deliver on those desires, which is why we use TREX deck designs. 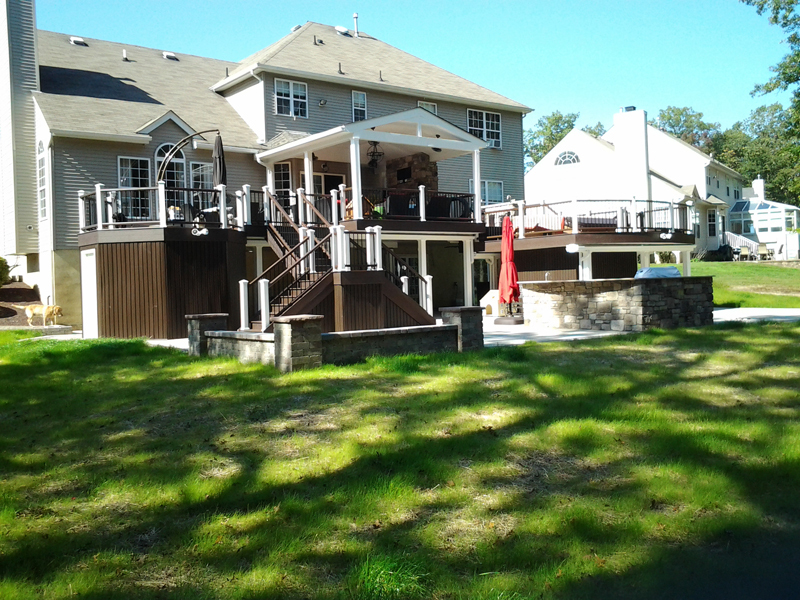 We’ll create your deck design using Auto-Cad and Vectorworks, and then turn it into a 3D rendering for you to review. 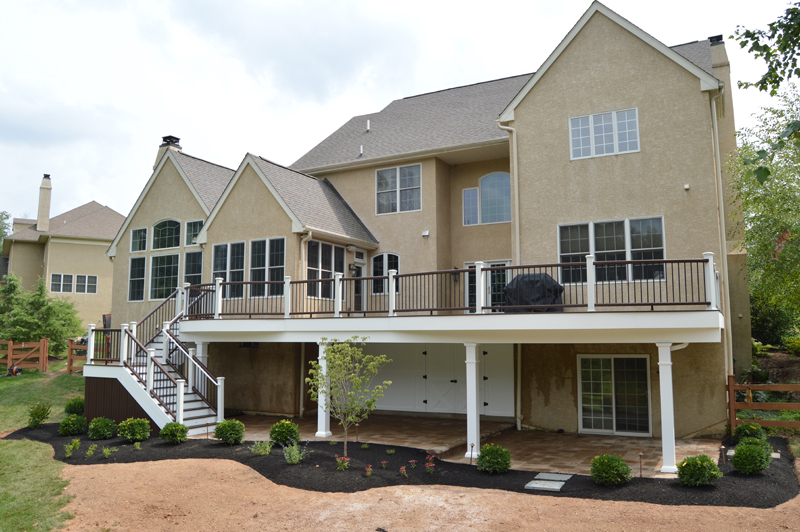 This makes it easy for you to visualize how the finished product will look. 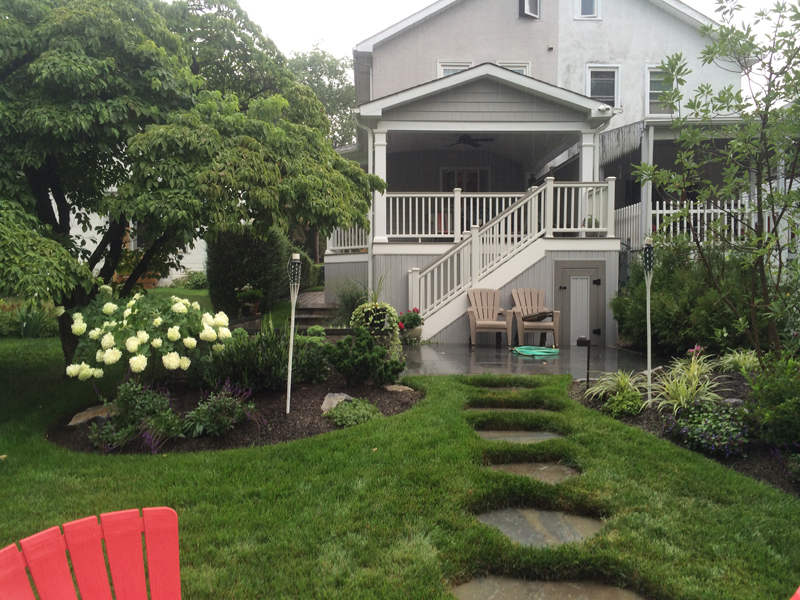 It also gives you an opportunity to ask questions about elements of the design and suggest modifications. 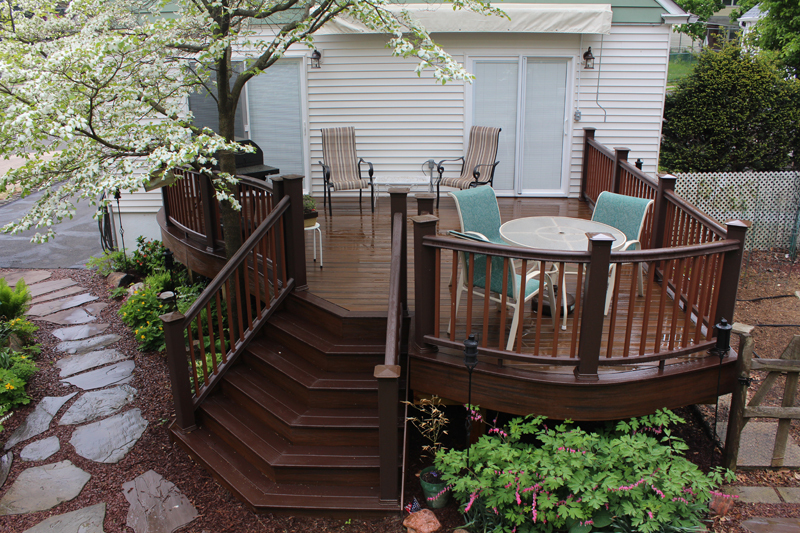 Our outdoor deck design philosophy is simple: we want your deck to be unique, functional, elegant, and affordable. 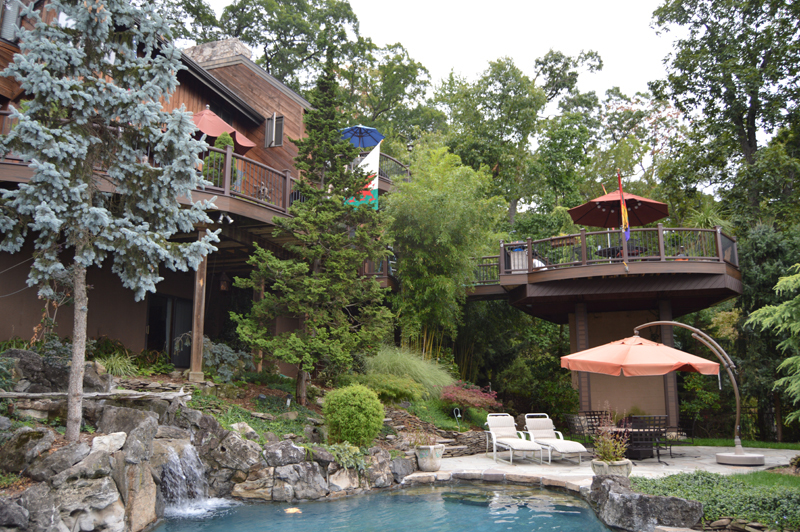 There are no limits to how you can create your beautiful outdoor living space. 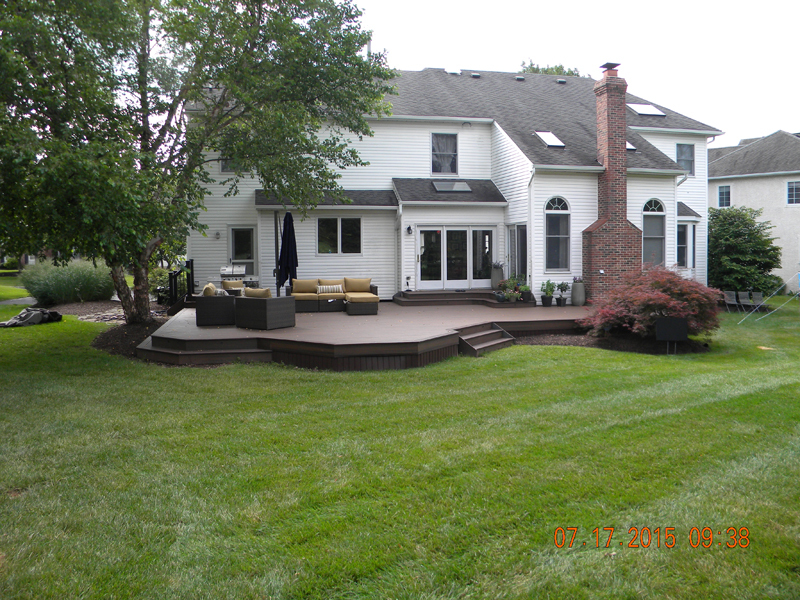 And as one of America’s top 10 Trex deck builders, there are no limits to how we can make your dreams a stunning reality. 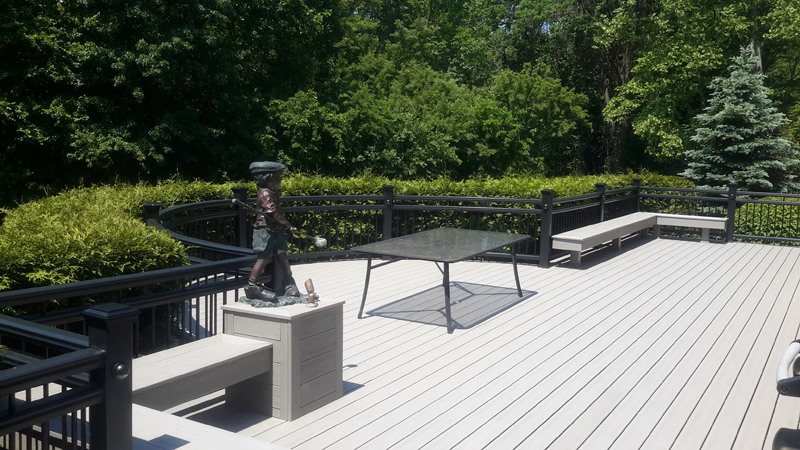 Amazing Decks is certified by Trex and Simpson, providers of some of the most sought-after decking materials and accessories in the world. 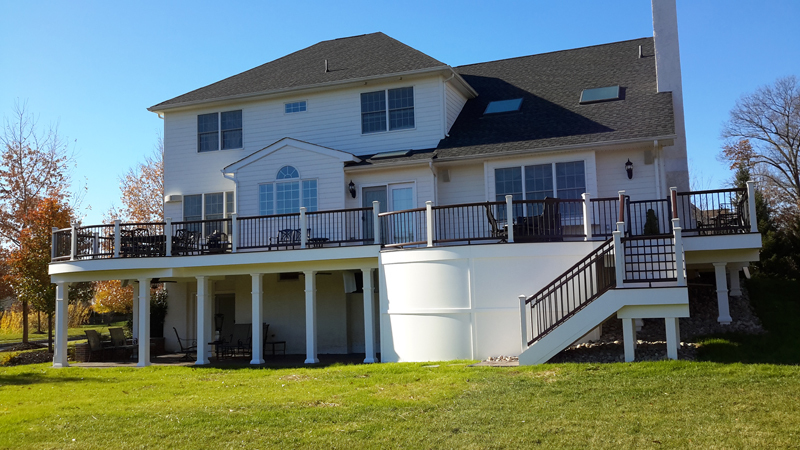 Our deck construction teams aren’t general carpenters but rather true deck craftsmen with extensive training and experience in deck design, patio construction, deck roofing and pergolas, outdoor kitchen installation, pool decks and much more. 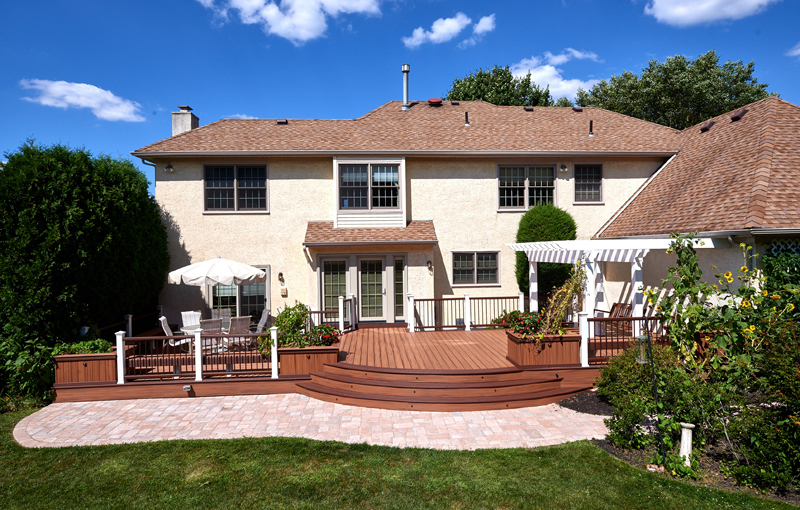 The Trex deck designs we build for customers throughout Pennsylvania and New Jersey meet with architectural approval to adhere to 2009 IRC building codes. 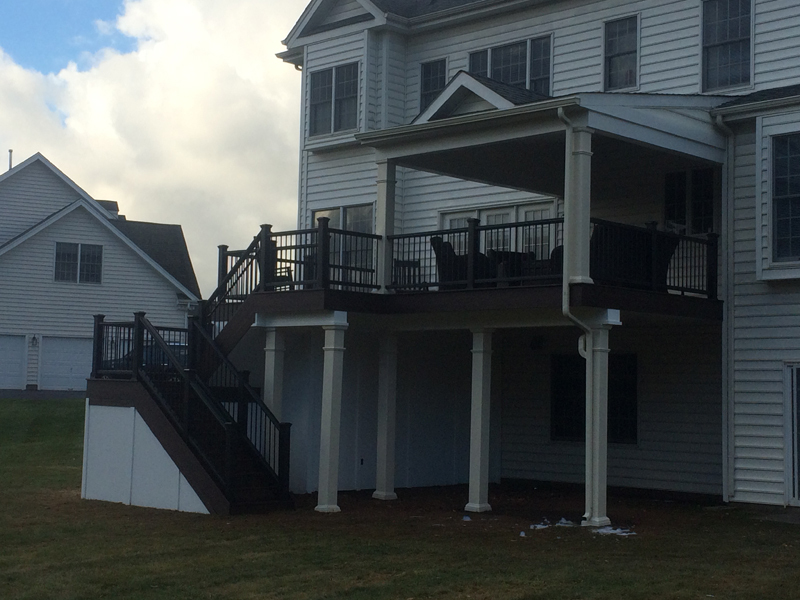 Our teams receive ongoing training and education to ensure that our products are safe, sturdy and code-compliant. Our customers tell us they appreciate these extra efforts. 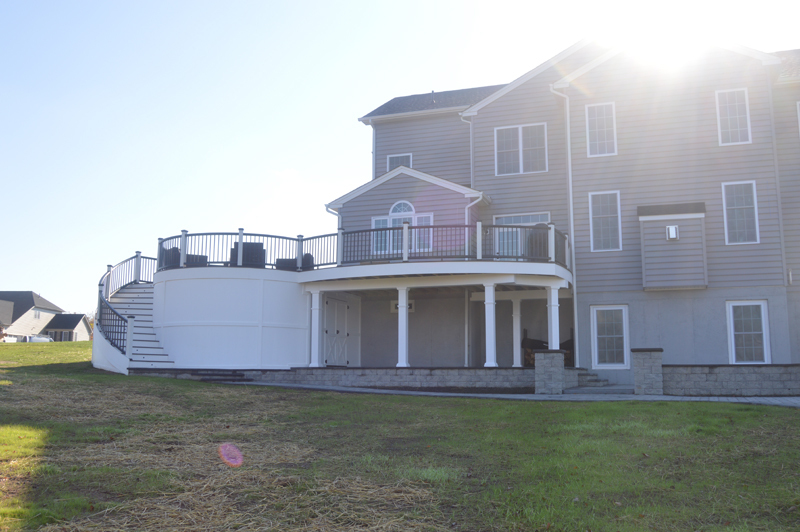 Finally, when you let Amazing Decks create your outdoor deck designs, you’re aligning with professionals who maintain a rigid code of ethics – both on the job and off. 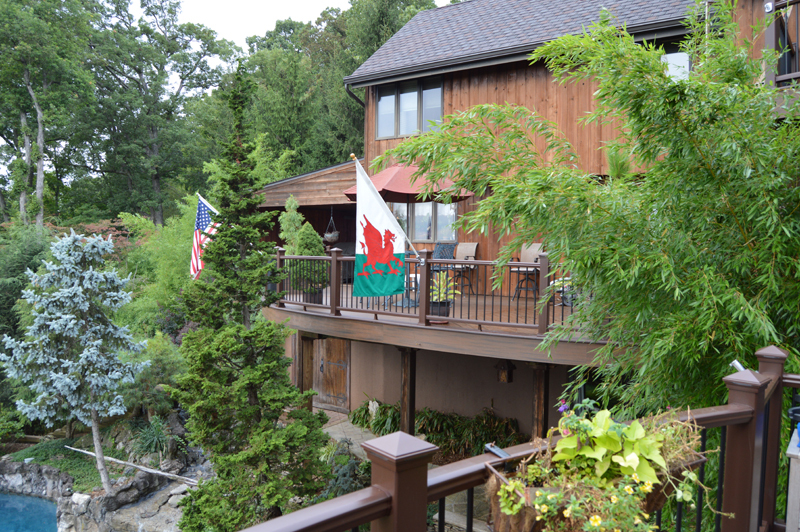 Customers come first, quality is never compromised, integrity is always upheld and pride in a job well done is the reason we’re in business. 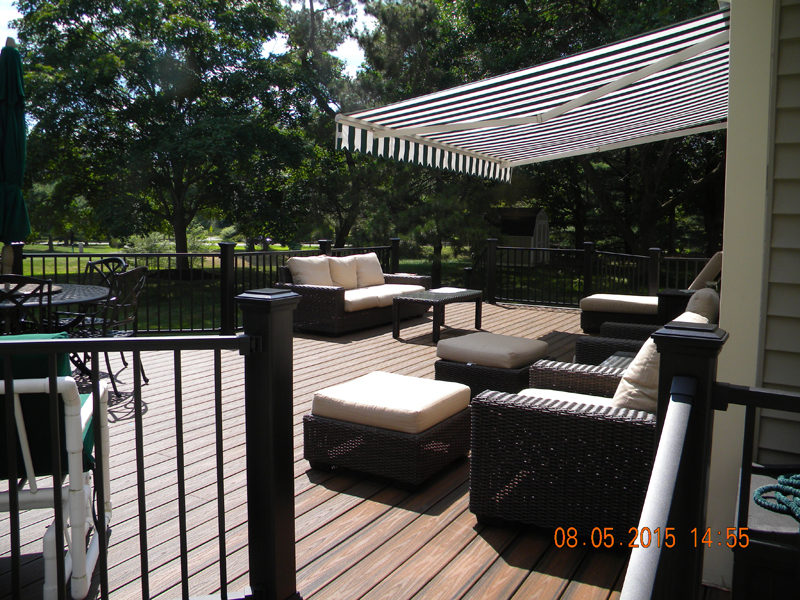 Ready to Create Your Custom Outdoor Deck Design? 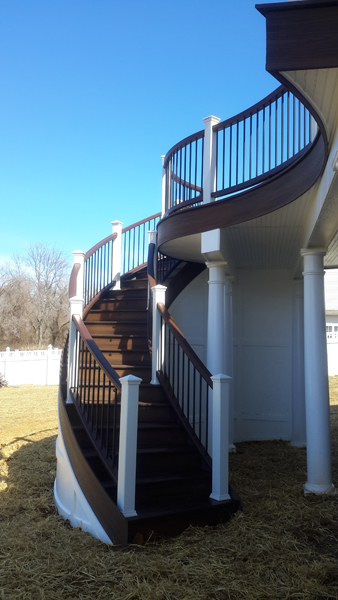 Would you like to explore the elegant ways our Trex deck designs can beautify and add value to your home while making your life much more enjoyable? 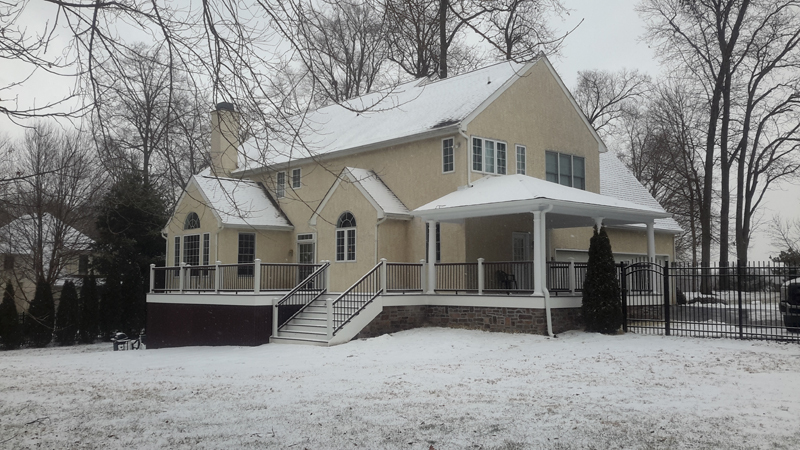 Contact us today or give us a call at (215) 654-1886 or (800) 220-3275 to learn more.